Asus announced a whole bunch of new Android devices during its Computex press conference, and the MeMO Pad HD 7 was one of them. The little brother of the MeMO Pad FHD 10, if you will, is a super affordable 7-inch slate meant to be offered in developing markets later this year. Priced at $130 or $150 for the 8- or 16-gigabyte version respectively, the Asus MeMO Pad HD 7 comes with a 1280 by 800 pixel IPS display, a quad-core processor and 1GB of RAM, which is good to hear. Specs like these aren't exactly typical for low-cost tablets. What SoC is used for the device isn't known yet. 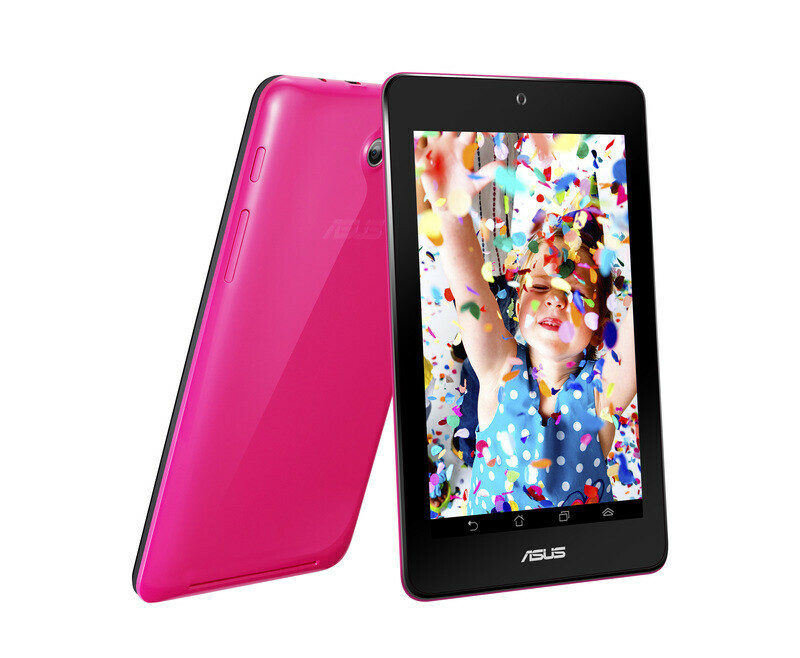 In addition, there's a 1.2MP front-facing cam for video chats on the Asus MeMO Pad HD 7. In case one demands having a more decent snapper as well, a 5MP rear camera for photos and videos will come as an option. There's a microSD card slot for storage expansion present on the tablet, and its battery is rated for 10 hours of video playback. Software-wise, we have Android 4.2 Jelly Bean running on the MeMO Pad HD 7. 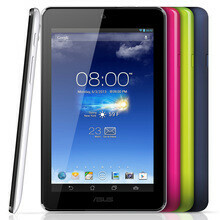 So yeah, the Asus MeMO Pad HD 7 is shaping up like a great option for users on a very tight budget. It will be available in black, white, pink or green once it launches on the market in July. Yeah, I wanna buy one too! "quad-core Cortex A7 processor" = Mediatek a7 turbo 1.5ghz That chip scores a 15000-16000 in antutu so this won't be bad at all! If its a Quadcore Mediatek (MT6589) then it is likely using a PowerVR SGX 544MP GPU. the remaining question now is as to what frequecy it is running. . .
Android 4.0 are you kidding me? I'm guessing its a wrongly reported spec, we will see when Asus puts the official out. I think this will take my money... I was finding a product which has similar spec as Nexus 7 and the price is cheap... I can't buy N7 because I'm a student and in our country N7is expensive...!